To rage or not to rage? That is the question…But if you’re going to rage, the Speed and Strength Rage with the Machine Jacket is the outerwear of choice for your adrenaline fueled moments. 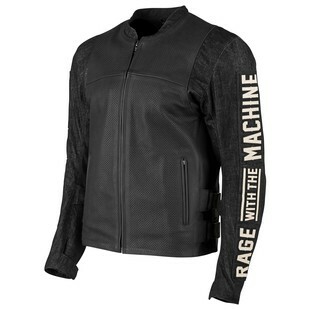 The Speed and Strength Rage with the Machine Jacket is almost (keyword, almost) as tough as Rage Against the Machine, but either way, it’s bound to give you style points while providing you with the protection (from non-machines) that you might need.